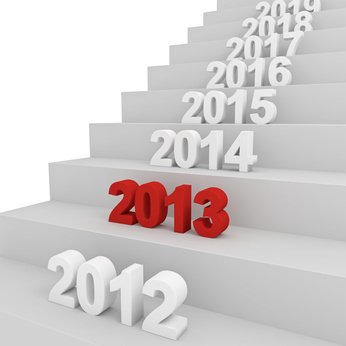 As 2013 makes its entrance a number of federal legislative changes affecting disability recipients will take effect. Included among those changes are the thresholds for what is considered “substantial gainful activity”, the maximum amount allowed for a worker retiring at full retirement age, the SSI federal payment standard and the estimated average monthly Social Security Benefits payable in January 2013. Thresholds for “substantial gainful activity”: As might be recalled, “substantial gainful activity” is “work activity that is both substantial and gainful”. 20 C.F.R. 404.1572. In 2012, disability claimants working and grossing more than $1,010 a month (if non-blind) or $1,690 a month (if blind) were considered to engaged in substantial gainful activity. Those amounts have increased slightly for 2013. In 2013, disability claimants earning more than $1,040 a month (if non-blind) or $1,740 a month (if blind) are considered to be engaged in substantial gainful activity. Maximum amount allowed for a worker retiring at full retirement age: in 2012, this maximum amount was $2,513. For 2013, this amount was increased slightly by $20 to $2,533. The SSI federal payment standard: The standard SSI payment for 2012 was $698 a month for an individual and $1,048 for a couple. For 2013, the individual payment is $710 a month and for a couple $1,066 a month. Estimated average monthly Disability Social Security Benefits: In 2012, the estimated average monthly Social Security Benefits was $1,113 for a disabled worker and $1,887 for a disabled worker, spouse and one or more children. In 2013, the Benefit will be $1,132 for individual disabled workers a month and $1,919 a month for a disabled worker, spouse and one or more children.